Lord Gadhia was raised to the peerage as Baron Gadhia, of Northwood in the County of Middlesex in 2016. He is affiliated with the Conservative Party. 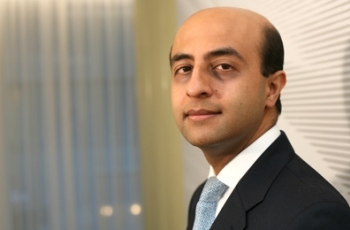 Lord Gadhia is a British investment banker and businessman of Indian origin who was born in Kampala, Uganda in 1970, and raised in the UK. He was educated at Fitzwilliam College, Cambridge where he received a Masters in Economics, and the London Business School where he was a Sloan Fellow. During his time as an investment banker, he has worked with severalmajor banks, including Barings, ABN AMRO, and Barclays. He then went on to join Blackstone, the world’s largest alternative asset management firm where he was a Senior Managing Director. He played a important role in connecting emerging market companies with developed markets, especially in developing countries like India, China, and Brazil. Lord Gadhia has provided significant input on strengthening UK-India relations, and has been associated with some of the largest investments between UK and India. He has accompanied delegations to India with several prime ministers, and was a key figure in Indian Prime Minister Narendra Modi's historic visit to UK in November 2015. Lord Gadhia was also was appointed by HM Treasury to the Board of UK Financial Investments in 2014, and has worked with the government to review different financial policy proposals put forward. Gadhia is an active philanthropist both personally and through The Gadhia Foundation, supporting a wide range of charities in UK and overseas. He has also participated in major fundraising campaigns, including one that raised £15 million to refurbish the Hackney Empire Theatre. He has also been a Patron of the British Asian Trust established by HRH The Prince of Wales. He now lives in Northwood, Middlesex, with his wife, Angeli, and two children, Priyana and Dev.